We have partnered with Precision Exams by correlating to the Standards, Objectives, and Indicators for Precision Exams Certification in General Financial Literacy and Personal Financial Responsibility. Personal Financial Literacy provides the financial building blocks for effective earning, spending, saving, investing, and giving through each stage of life. From how to manage a paycheck to understanding the time value of money, this text prepares students to be financially fit money managers. 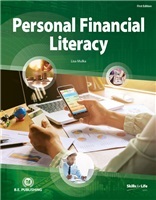 Real-world examples are embedded throughout the book to demonstrate financial dilemmas students may encounter, such as identifying needs and wants and how credit impacts financial decisions. This graphically illustrated textbook brings personal finance topics to life as it hones problem solving and critical thinking skills and prepares students to manage their financial futures. 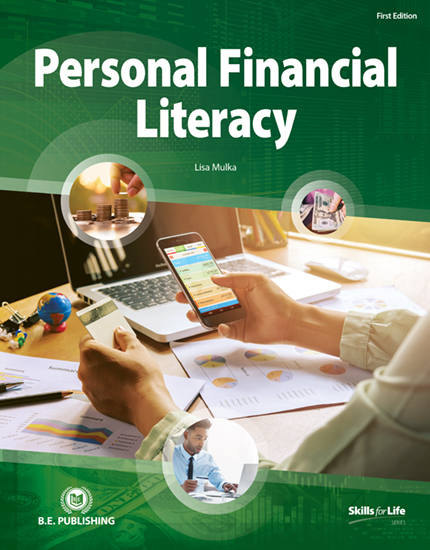 The Online Instructor and Student Resources for Personal Financial Literacy are required and include a wealth of activities and assessments that challenge students to demonstrate their understanding of chapter material. Students will collaborate and communicate in a variety of settings, including written essays, presentations, and creative projects. In addition, Personal Financial Literacy features a cumulative project in which students develop a complete financial plan. Define Key Terms - Students define the key terms presented in each chapter, helping them to prepare for the Chapter Assessment. completing a series of short answer questions. chapter by responding to a writing prompt. Create and Design - Students demonstrate creative thinking and develop innovative ideas by designing and creating a variety of documents as part of an overall financial plan.